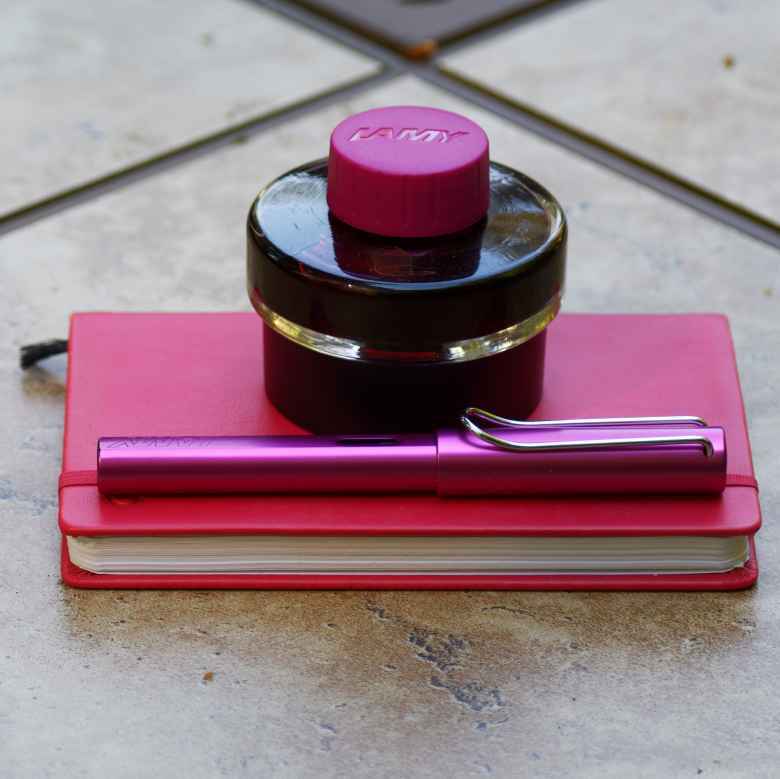 Wherein my Pink Lamy Al-Star (IF) is paired with Lamy Vibrant Pink. On June 4, 2018 my Pink Lamy Al-Star (IF) joined its comrades when it was filled with Lamy Vibrant Pink. The pen was in use for 6 months and was emptied and cleaned on December 13, 2018 , saying good-bye to its fellows. I’ve waffled all year about getting this pen or this ink. I recently completed the story-a-day challenge for May 2018 and decided to reward myself with this combination. I’m looking forward to it! Embarrassingly, I forgot about this pen. I did use it, and when I did I enjoyed it. The ink is vibrant, pink, and cheerful. The pen tucked away a little too neatly in my pen roll though, and I didn’t always recall it was ready for use.